A few months ago I was contacted by the nice people over at Stitchcraft Marketing to see if I would be interested in knitting something out of Briggs & Little yarns. Briggs & Little is Canada’s oldest mill. This year it is celebrating the centennial of ownership by the Briggs & Little families and the mill has actually been in production for over 150 years. Briggs & Little produces premium grade 100% domestic wool that is milled, carded, dyed and spun at their factory in York Mills, New Brunswick, Canada. 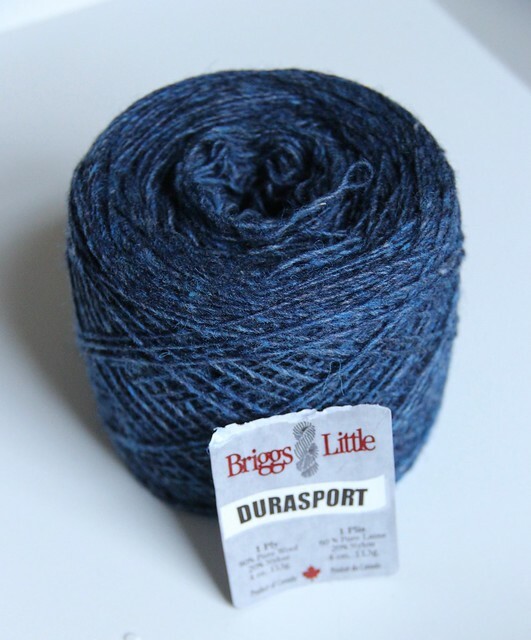 I looked at some of their lighter weight yarns for summer and chose to try their Durasport, in the Denim colorway. Durasport is a sport weight single that is 80% wool and 20% nylon and comes in 430yd/4oz skeins. Briggs & Little generously sent me two skeins, one of which I gave away on the podcast just last week. The yarn was lovely and tweedy and just slightly rustic, so I set out to find a simple pattern that would let the yarn shine. 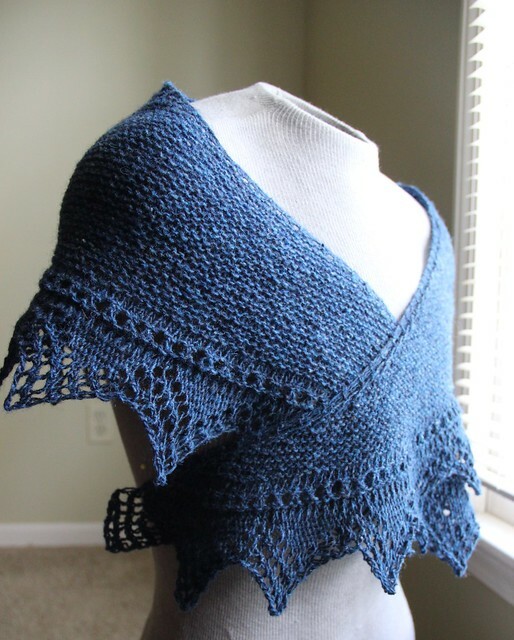 I ended up selecting a very little known pattern called Xale Anita by Carmen Gama. 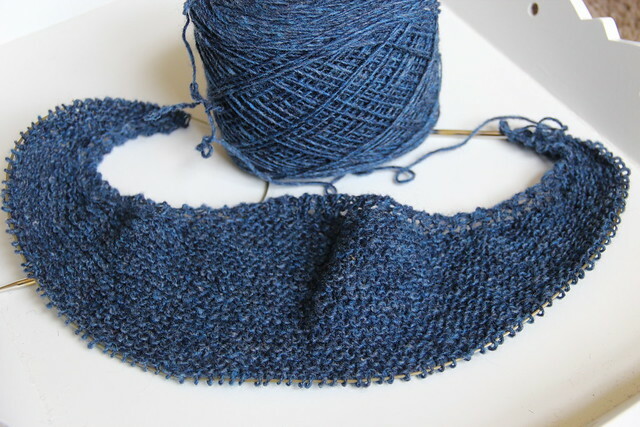 It is a garter stitch crescent shawl with a simple lace edging. I had to make a few modifications to the pattern so that I didn’t run out of yarn, but overall I thought the pattern and yarn were well matched. I really enjoyed knitting with this yarn. 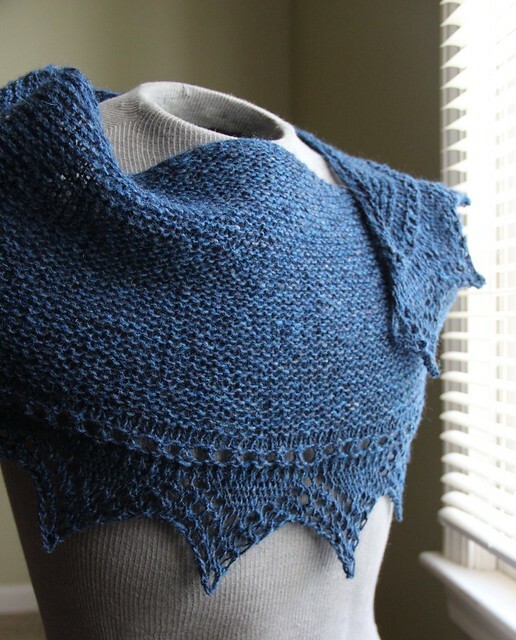 It was sturdy and a bit rustic, like I said, but it really knit up into a lovely drapey shawl. The yarn softened just a bit when washed in wool wash, and blocked out beautifully. 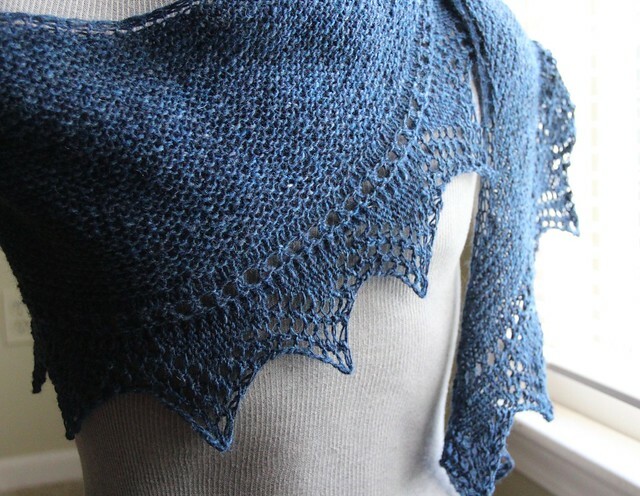 I think this would be a wonderful shawl on a cool night, or for extra warmth on a winter day. If you have sensitive skin you might want to wear it over other clothing, but I think many people will find it wearable as is. I look forward to trying other Briggs & Little yarns; perhaps a colorwork sweater is in my future? A special thank you to Stitchcraft Marketing and the folks at Briggs & Little who sent me the yarn (retail: $13.00) for free. I received no other compensation for this review. All opinions and photos are my own.